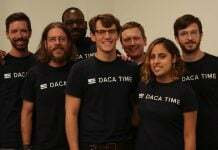 In just under a two week span, DACA Time went from winning $40,000 for their startup at the conclusion of the SEA Change Accelerator, to a potentially business-crushing announcement from Attorney General Jeff Sessions that DACA – Deferred Action For Childhood Arrivals – the very executive order that the startup is named after – was being rescinded. Now, Congress has six months to find a permanent solution for the approximately 800,000 individuals protected by DACA, according to statistics from U.S. Citizenship and Immigration Services. But, there’s no talk of defeat for the DACA Time team. Not only are they confident that Congress can come to a resolution, they see this time in the unknown as an opportunity for their software-based startup. DACA Time started with Co-Founder & Chief Dreamer Nathali Bertran’s own experience filling out the DACA application. As her two-year renewal period arrived, she turned to her boyfriend, Brook Kohn, for help. He was shocked at the process Bertran had to go through for her renewal. 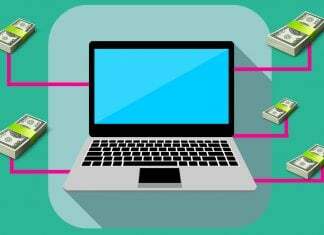 The complex form (the instructions alone are 14 pages long) generally required the assistance of a lawyer to navigate – an expense of approximately $500 for Bertran. “There’s a lot of questions that are very difficult if you’re not accustomed to legal language,” Bertran says. The form was also tedious, requiring applicants to enter information like a multi-digit identification number several times. Information that if entered incorrectly, could have led to a delay in processing an application at best, and deportation at the worst. DACA applicants were required to download the forms and fill them out on their own. There was no way to submit the information electronically. That meant printing and properly packaging the application, and mailing it, along with a $495 check for the renewal fee, to the federal government. A process Bertran called nerve-wracking. Hearing her experience gave Kohn an idea. Create an “automatic software that would fill the DACA form for the applicant in a really easy manner,” Bertran says. 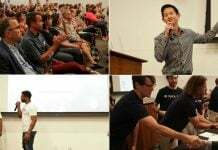 Kohn, DACA Time’s Co-Founder & CEO, pitched the idea at GiveBackHack in March of 2017, gaining team members that would take the startup on to the SEA Change Accelerator, a 14-week program designed to build social enterprises. 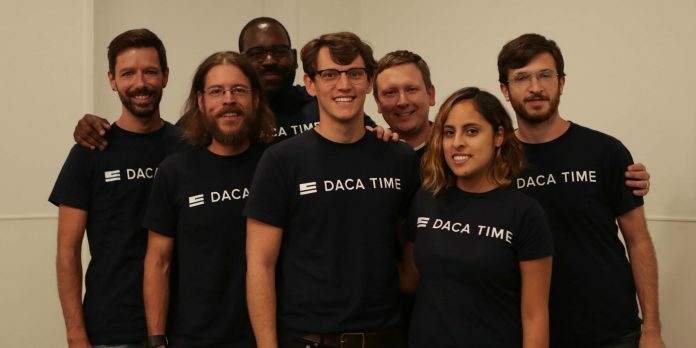 The program helped DACA Time solidify their business plan and develop a better understanding of what investors look for in a pitch. And SEA Change’s investors saw something they liked. For a $60 fee, DACA applicants could use the startup’s software to fill out the form step by step, responding to questions with more basic language. The software would also auto-populate the same information that was required in multiple places on the application. “The whole idea is similar to TurboTax,” Bertran says. The DACA Time team’s on-staff lawyer, “He was definitely a gateway to simplifying that process,” Bertran says. Finally DACA Time would allow users to print their form, along with a cover sheet with instructions for submitting the application package. Kohn says that while DACA may no longer be an entity, their business model really won’t change all that much. The team is currently building out the part of the software that collects user information. The only thing that will ideally change is where that information goes – into what form it is filed. “We’re really using this time to our advantage,” Kohn says. The estimate for the build-out of the software is February, one month earlier than the March deadline when the first wave of DACA Dreamers that were denied renewal will be eligible for deportation. That is, unless Congress finds a solution. Something the DACA Time team is hopeful will happen. “We’re really confident that there will be a permanent solution for the Dreamers,” Kohn says. Currently, there are two pieces of legislation addressing Dreamers that the DACA Time supports. First, there is the Senate-led DREAM Act. Kohn says the DREAM Act essentially codifies DACA and gives applicants or recipients a path to citizenship after five years, which would mean the opportunity to leave the country to vacation abroad or visit family. (DACA did not offer a path to citizenship, just a deferral from being deported.) The House-led RAC (Recgonizing America’s Children) Act provides essentially the same protections, but with the DREAM Act, an applicant’s time in DACA counts towards the five-year path to citizenship. With the RAC Act, the five years restarts with the new rule. “They are both extremely good pieces of legislation that we support,” Kohn says. And, there has been general bi-partisan support for a permanent legal solution. The DREAM Act was introduced by Sen. Richard J. Durbin (D-Ill.) and Sen. Lindsey O. Graham (R-S.C.). Kohn notes that on the House side, conservative Ohio Republicans Pat Tiberi and Steve Stivers have signed on to support the RAC Act as well. Kohn says the biggest challenge to getting either of these pieces of legislation passed will be any member of Congress that wants to push comprehensive immigration reform. 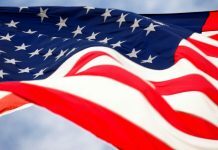 As they await Congress’ action, DACA Time will focus on acquiring customers, being present in the community, and supporting Dreamers and the legislation. “One thing we need to do is keep the pressure up on Congress to get this done,” Kohn says. 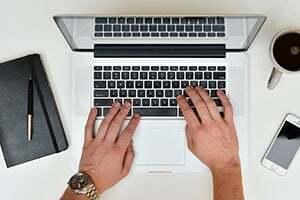 He encourages supporters to contact their local representatives to make sure they support the legislation – with Kohn adding that many legislators in Central Ohio already do. Bertran considers herself lucky. Having just renewed, her current work permit doesn’t expire until 2019. 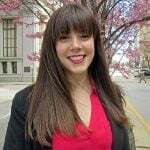 She has also finished college and is employed – as are 93 percent of DACA recipients aged 25 and older according to a study from the Center for American Progress. While it’s hard to let go of all insecurity, Bertran feels she has options – she has a way out. What she’s really worried about are the younger dreamers, ones in high school or college that might not be able to pursue higher education, or be forced to drop out completely. She encourages people to get informed about the issue – to understand DACA’s limitations and current immigration policies. She wants to eliminate the fear many DACA recipients face; to have the community understand the stories behind these undocumented individuals. “Luckily when I share my story, everyone in Columbus has been more than welcoming,” Bertran says. For more information, visit dacatime.com.